I love this time of year and all of the fun parties and delicious foods: my favorite being potlucks. Don't even get me started on potlucks - I will fill like 3 plates, trying to get a scoop of everything. 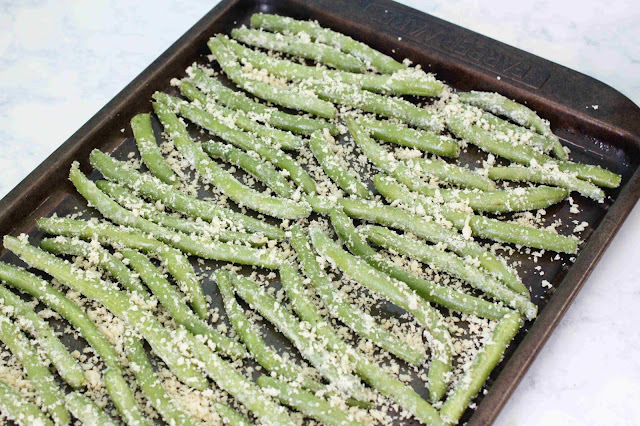 These green beans are my new go-to and are perfect to roast in the oven while you're finishing cooking other dishes. 2. 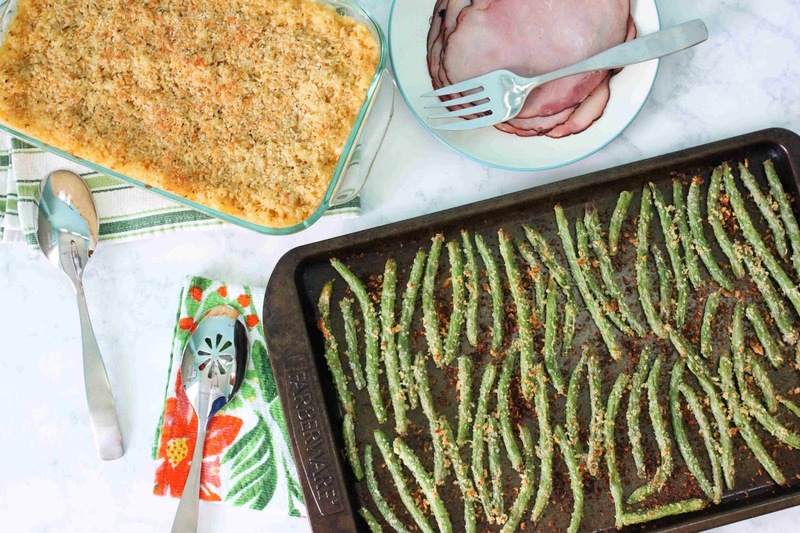 Grease edged-baking pan with 1 tablespoon of olive oil. 3. 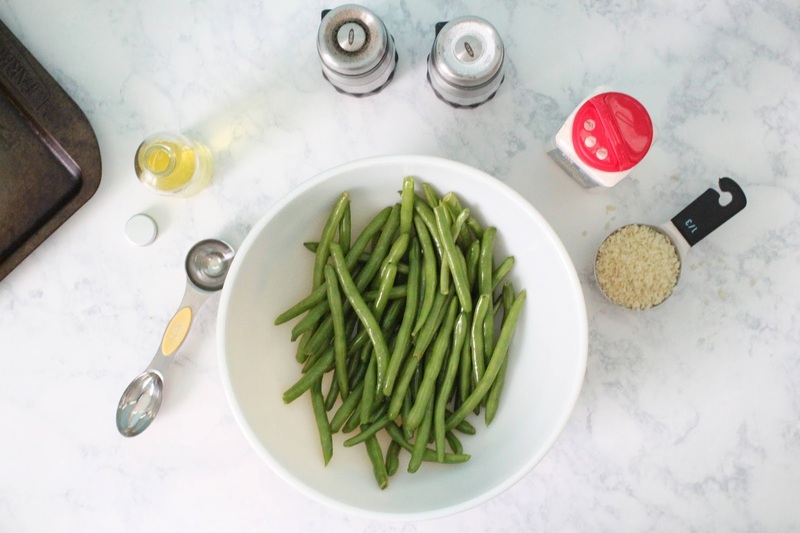 Combine green beans and second tablespoon of olive oil in a large bowl, toss to coat. 4. 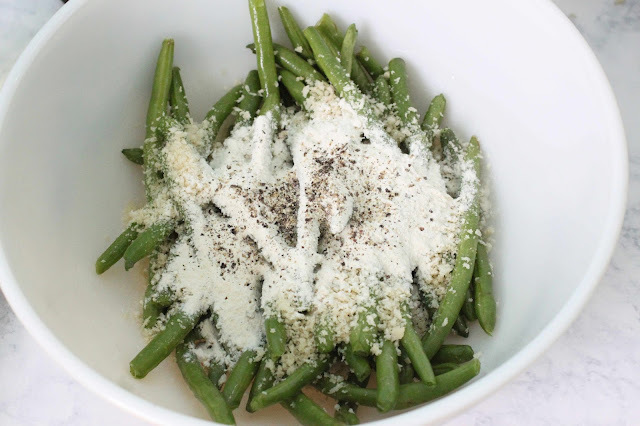 Top the green beans with the breadcrumbs, alfredo seasoning, pepper, and salt. 5. 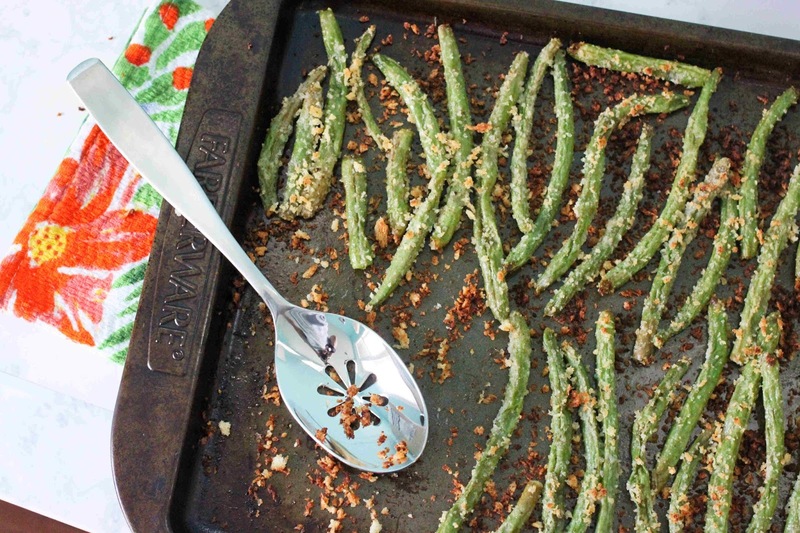 Spread the green beans onto the baking pan in a single layer. 6. 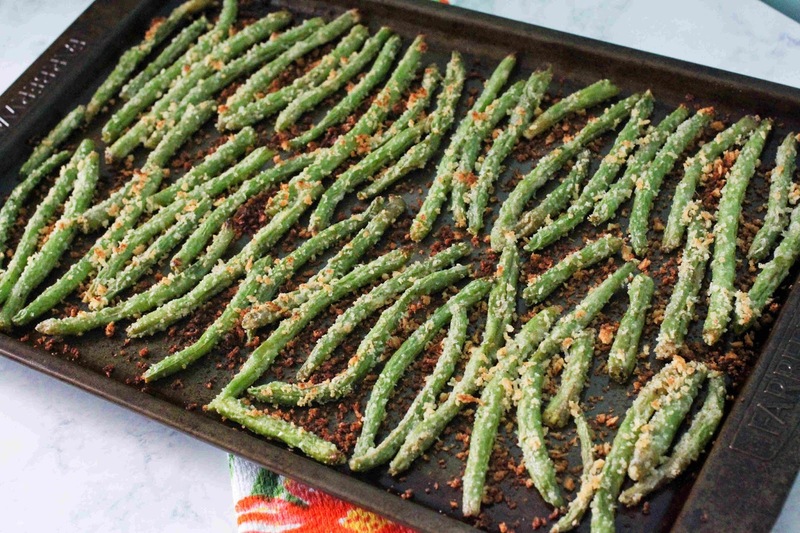 Bake the green beans for 15 minutes at 375 degrees, then broil for 3 minutes at 450 degrees. 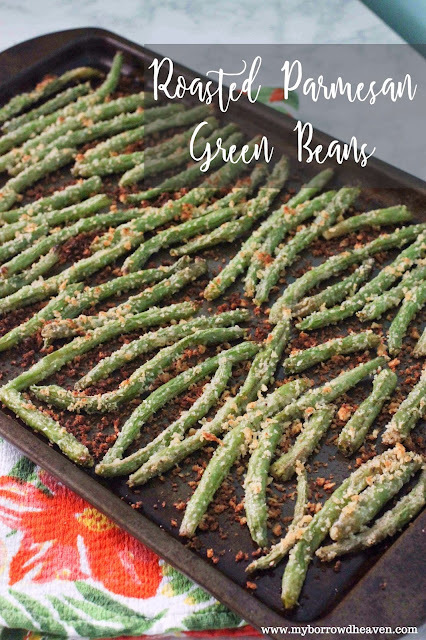 The secret to these green beans is the new McCormick Pasta Seasoning Blends, which, as you can see, aren't just for pasta. I used the Parmesan Alfredo variety, and they're also available in White Cheddar Mac n' Cheese and Tomato Basil, all with no artificial flavors or colors. 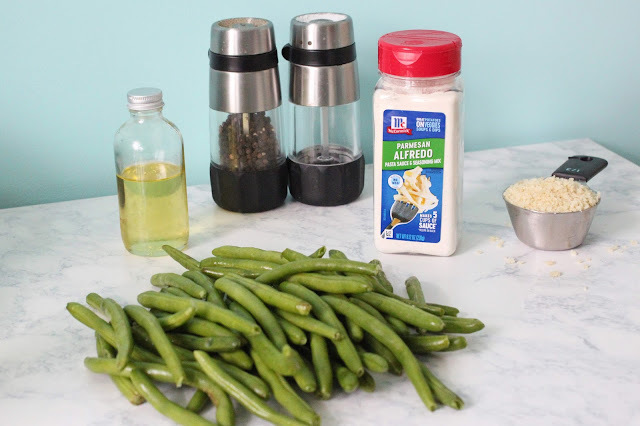 To make the blends into a delicious pasta dish, all you have to do is add water or milk, heat on the stove top, and toss with hot cooked pasta. As always, McCormick inspires a love of home cooking and empowers all cooks through flavor. 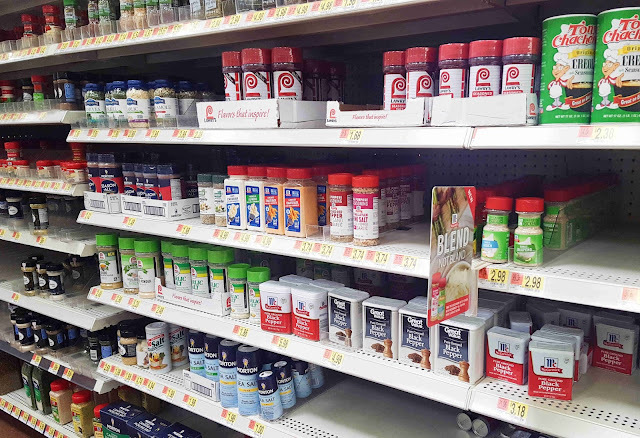 I shopped at Walmart in the spices/baking aisle for my Seasoning Blends. 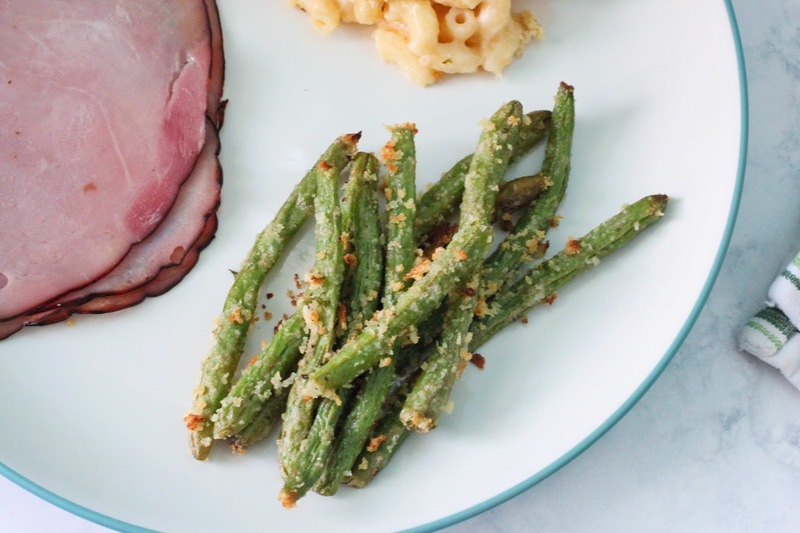 Now this is all my kind of comfort food: ham, sriracha mac and cheese (need to share that recipe soon), and roasted parmesan green beans. What's your favorite thing to bring to (or eat at!) 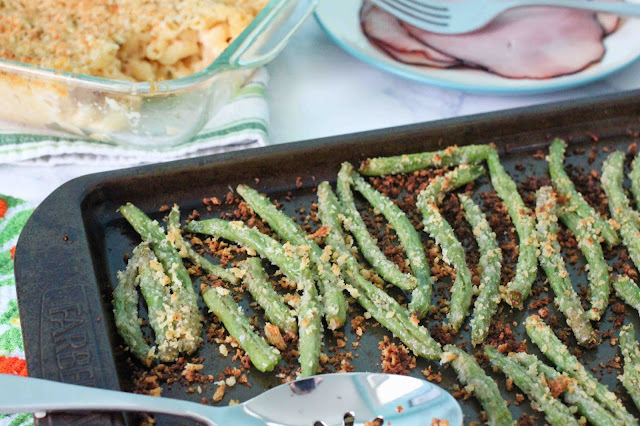 a potluck dinner? 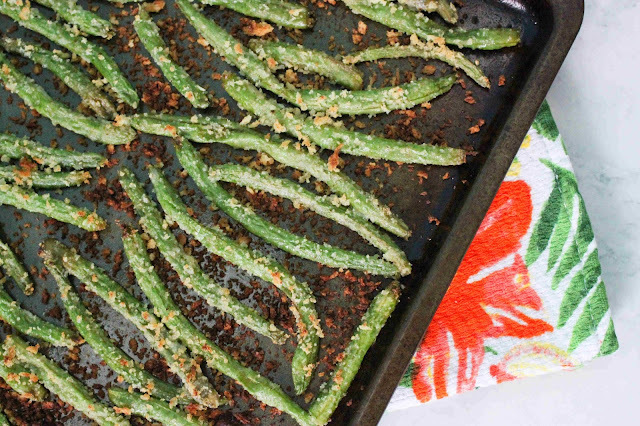 You had me at roasted & parmesan! Sounds yummy, I have never seen this seasoning before. I've roasted green beans with potatoes but this looks really good.